Another eyewitness, 28-year-old Youssef Najah, said he was walking along the canal near a bowling green when he saw a man running and holding a knife about 25-30cm long. "Around four or five balls hit him in the head, but they weren’t able to stop him," he added. ’Watch out, he has a knife". But they didn’t react". 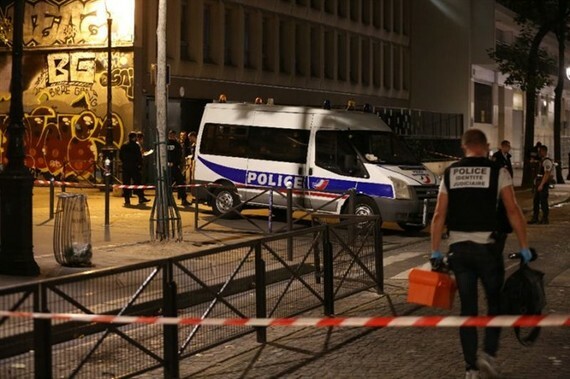 That attack came days after an Afghan asylum-seeker was arrested in the town of Perigueux for a drunken rampage with a knife in which four people were wounded, one seriously. More than 240 people have been killed by Islamic extremists since a massacre at the Charlie Hebdo satirical magazine in Paris in January 2015. — AFP/VNS.